I finally got myself familiarized with ScummGen, the compiler that takes C-style code and compiles it into resources used by the actual SCUMM engine (used by LucasArts for all of their adventure games from Maniac Mansion to The Curse of Monkey Island, and by Humongous Entertainment in most of their games until 2003). 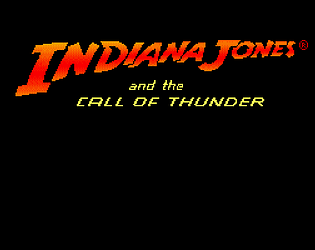 I polished up the ScummGen test game, Indiana Jones and the Call of Thunder. -Changed the description of the macguffin as it was originally used as a joke related to the game being unfinished (but kept it humourous to suit the tone of the original).